A venice gondola seesaw right in the venetian water. 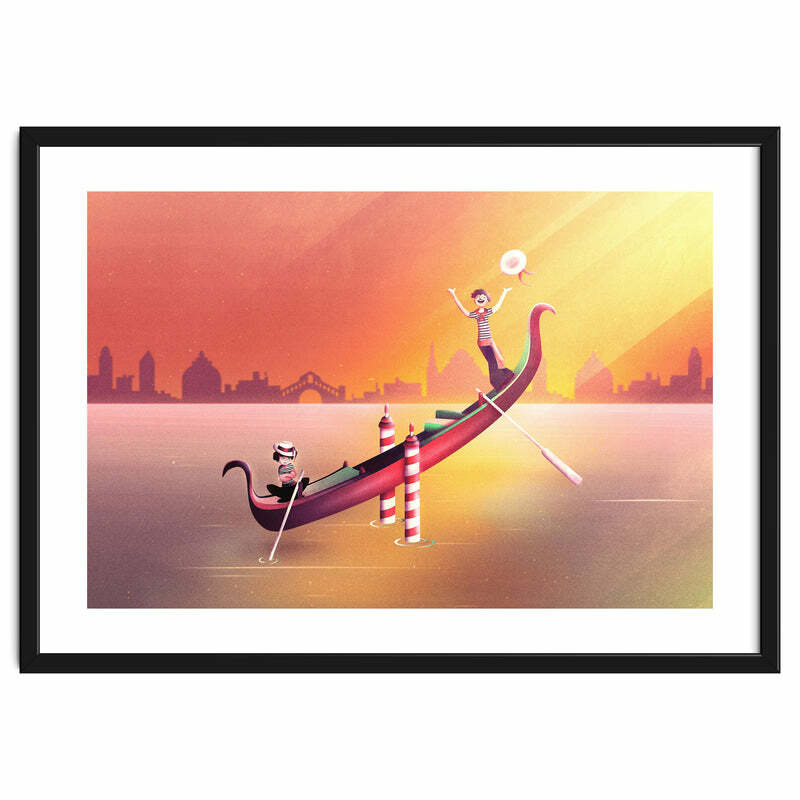 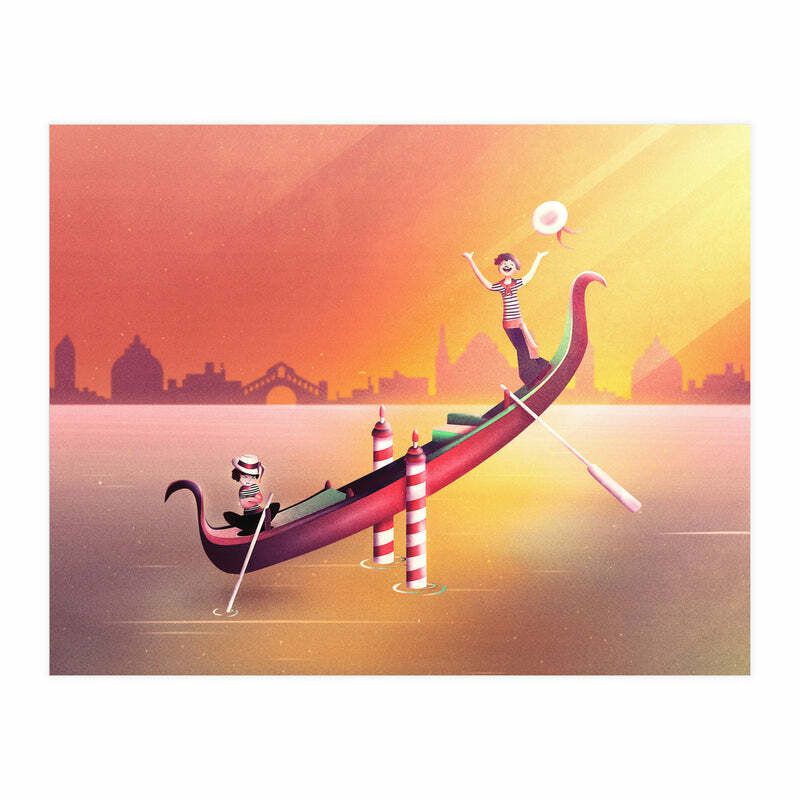 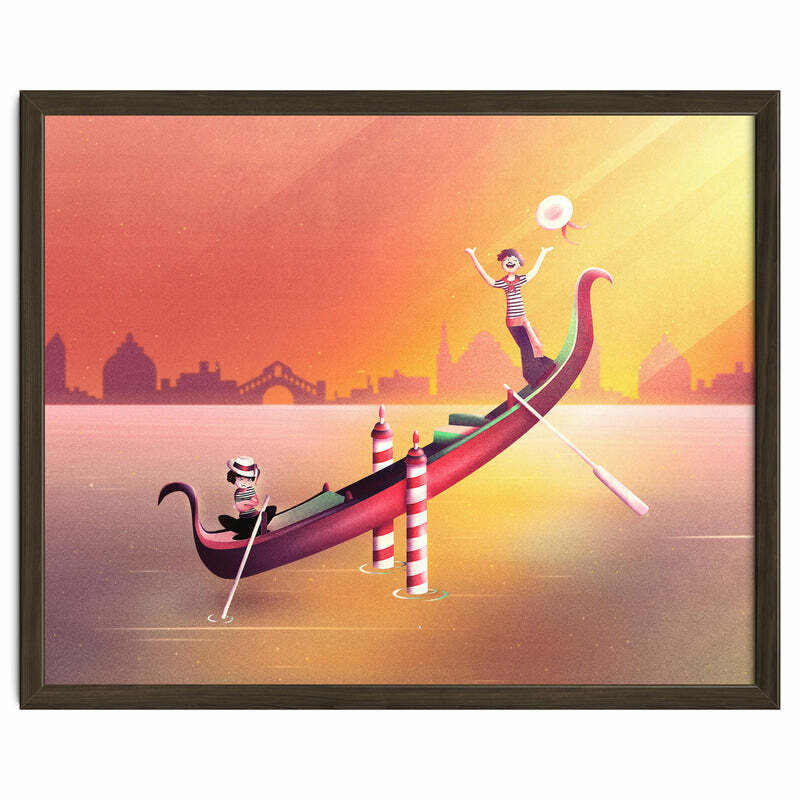 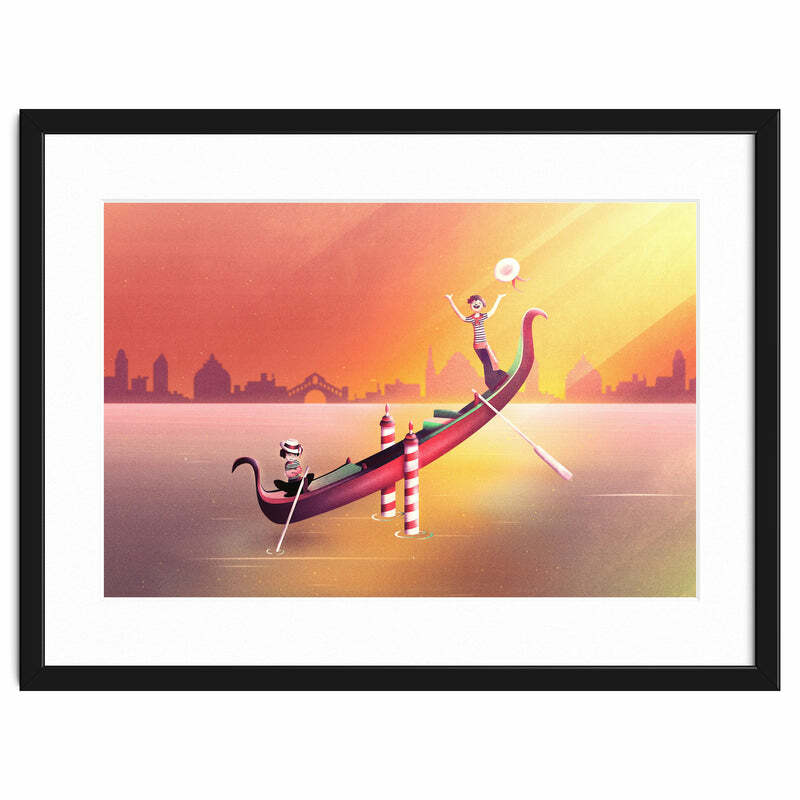 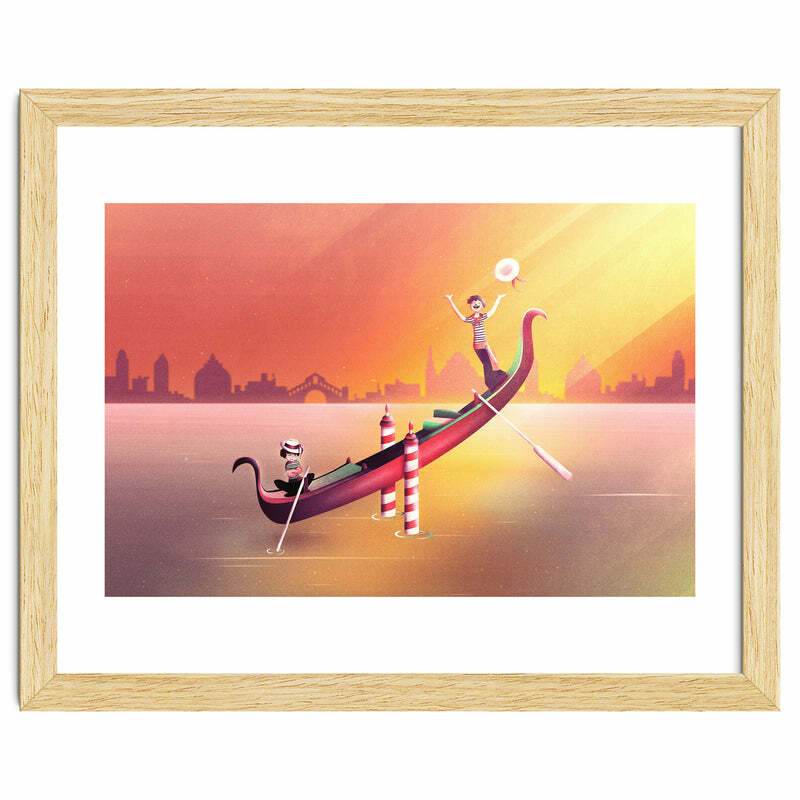 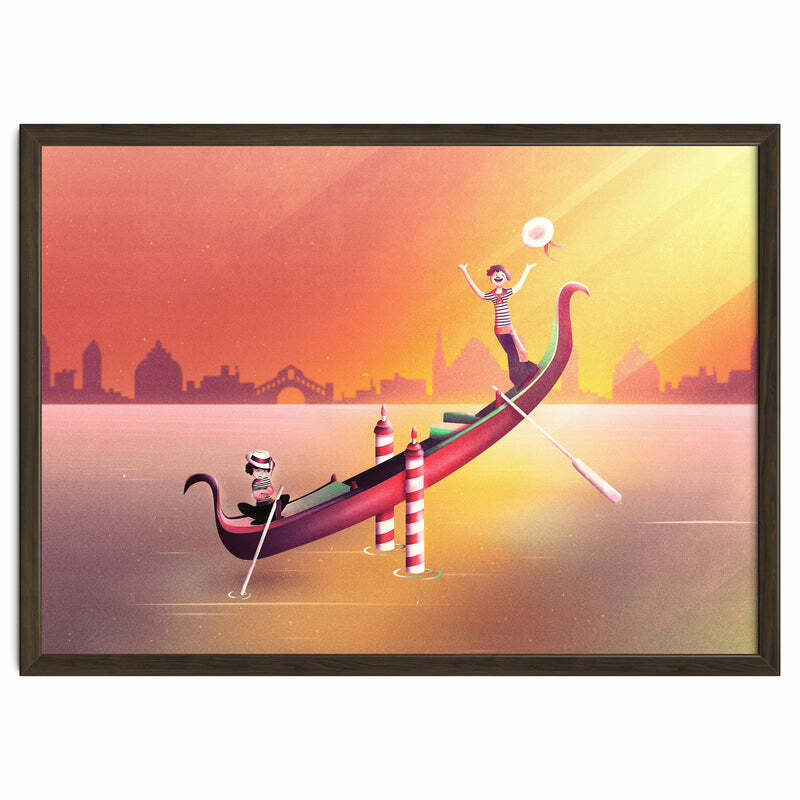 There is a funny winner gondolier and a loser gondolier. 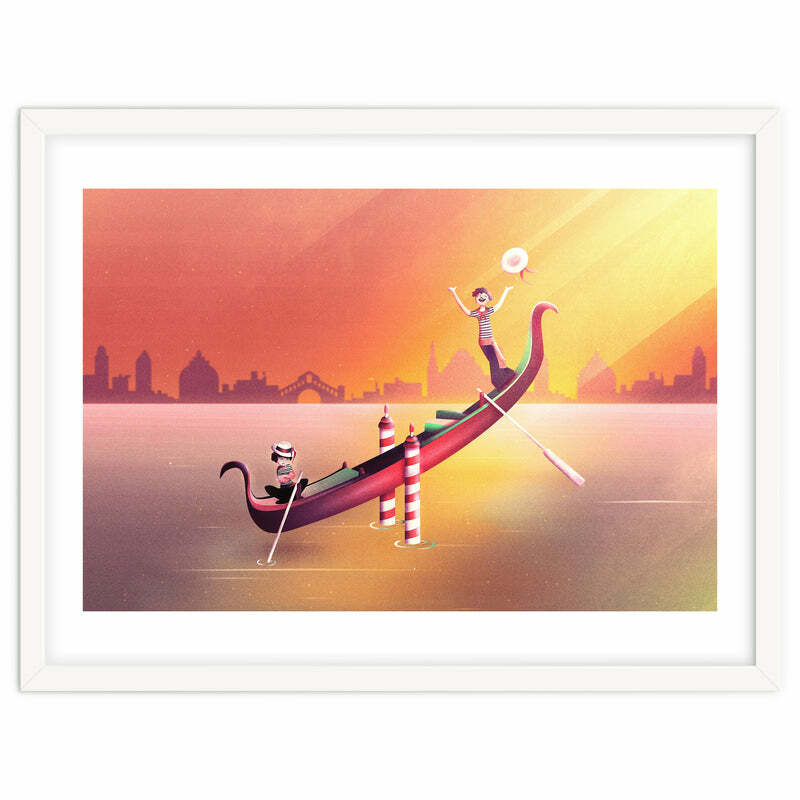 Can you see the Rialto Bridge as a silhouette? 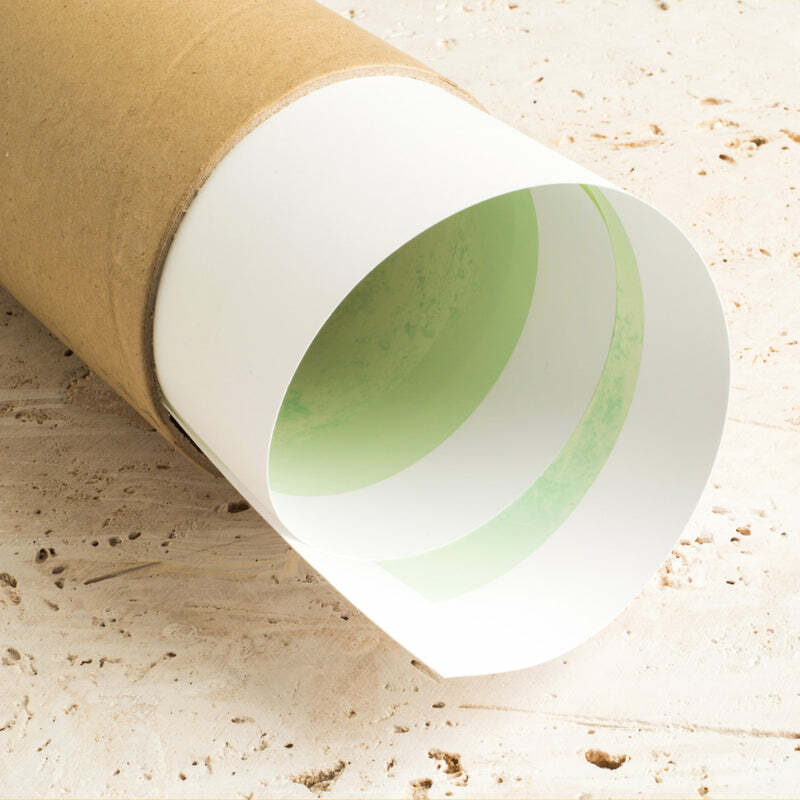 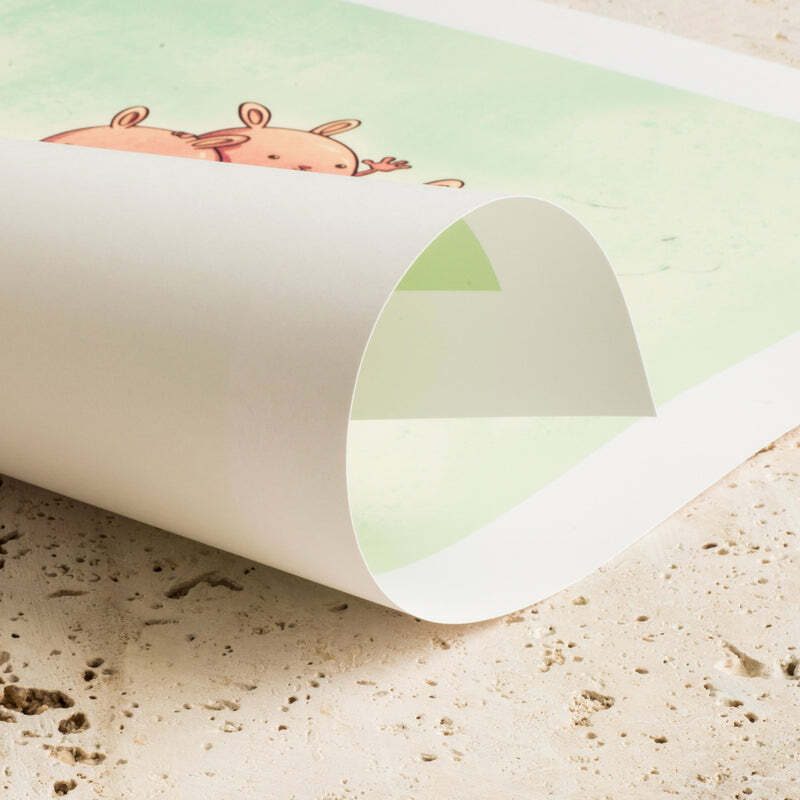 This Italian wall art goes out to Venice lovers and everyone who loves weird motifs. Enjoy the sunrise and ray of lights reflecting in the water.